NOR'EASTER - SWELL ALERT - MORE ON THE HORIZON! Brrrrrrrr! Tharr She Blows! The Winter Atlantic has awaken! We hope everyone had a great holiday season so far, and our little xmas swell was short lived but now we switch gears into winter chunk surf wonderland this week! 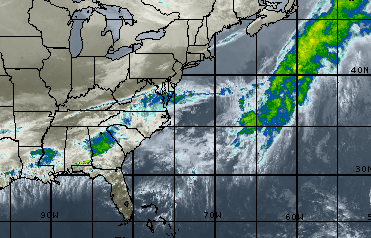 We are currently looking at a long drifting low pressure system stretching out into the Mid-Atlantic all the way from the Gulf, and we have another front coming! We’ve had a good brewing blow the last couple days post Christmas, and it looks like our first winter blast is upon us! Building waist to chest plus surf today and could be overhead tomorrow! It’s time to bust out that new suit Santa brought you! With a double barreled low moving through we’ll have waist to chest plus surf over the next 24-48 hours with a little lull mid-week, then another blast at the beginning of next week! A sign of things to come hopefully this winter! We get some great winter swells here, and it’s time to get into your favorite surf shops for their after holidays sales! It’s gonna be cold and chunky, but we have the spots here to hold the surf so get on it! Surfs Up! Happy Holidays! and GO JAGS!